Noida Boy Makes Short Film on Social Cause Gets Big B's Praise - Noida Diary - Rediscover Noida With Us! Aaryaman Kapri is a boy all of twelve living in sector 48 of Noida. What about him? Well, he has made two very short films with a social message on YouTube. One of the short films titled ‘Do You Love Me, Papa?’, released on World Tobacco Day, has a strong message to all parents urging them to quit smoking. It is a less than 2 min video with Aaryaman delivering a monologue. It has caught the attention of the social media world after Big B (Mr Amitabh Bachchan) appreciated the video in a tweet as ‘so noble and pertinent…’ It was liked by more than 600 people and retweeted nearly hundred times. Another video conceptualized by the amateur filmmaker titled ‘Water’ was released on World Environment Day. The second video is about saving and conserving water. It is great to see the young minds sensitized for a better world. He comes from a family of filmmakers. His father, Vinod Kapri, is into documentary making career spanning decades. No wonder, he got a penchant for film-making too.This is a great way of engaging your vacation time, kid! Wonderful videos by Aaryaman! Very short but with strong message..
Nice I kinda like it. Thanks for dropping a line of appreciation. Have a good day! That's very cool… really liked it… Great work y Aaryaman! Great to watched the video, Thanks for the post. Nice of you to appreciate, encourage and promote him through your great blog! That is great. Congrats to him. Thank you Archana, Rupam. Amit and Rajesh for your lovely comments! The boy deserves to be applauded for his noble efforts. 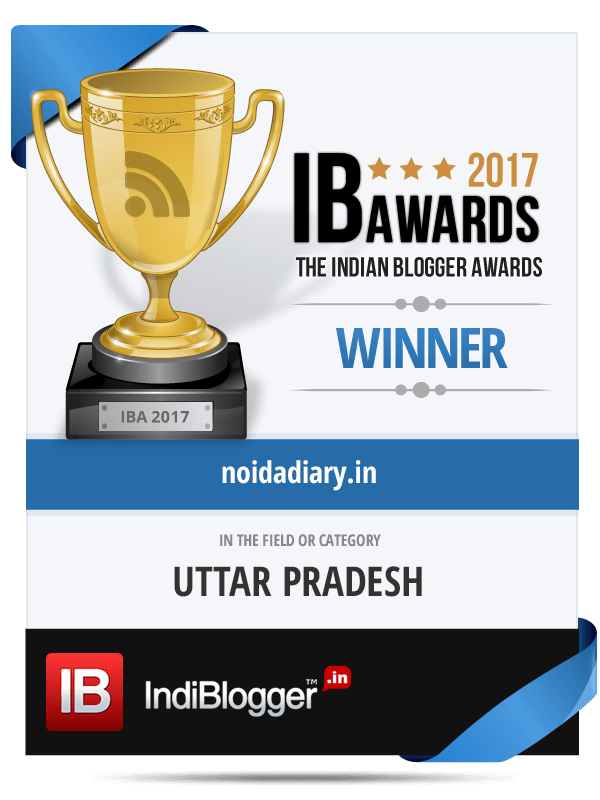 Taking this opportunity we would urge our readers to share your great Noida Stories with us and get featured here on the blog. Get in touch with us at noidadiary@gmail.com or use the 'contact us' button. Till then keep reading our blog. Have a great day! I watched both videos. The cigarette one is powerful with the message coming from a kid. Thanks, Bushra, for this wonderful video. The child's work is impressive. Like the dialogue, "kab aap cigarette se jyada apne bachchon se pyar karenge." It needs to be viraled. What a lovely video Great one Aaryaman…. Beautiful message for stop smoking….. Thanks Maitreni, D Nambiar, Ravish and Self Drive Tips! The boy has indeed done a great job. @Nambiar The boy is very impressive in the quit smoking video. The message cut across subtly loud. @Ravish totally agree…this video message needs to be spread. That is wonderful! Immense talent there! He should be encouraged by all. Absolutely. Agree with you, Indrani.